HomeHigher education choices in America: A distinction without (much of) a difference? Higher education choices in America: A distinction without (much of) a difference? The cost differential is huge. But what about the education itself? In fact, the difference between the highest and lowest cost averages comes out to a factor of ten. Averages are more difficult to calculate for online college institutions, where the annual cost ranges widely from as low as $5,000 all the way up to $25,000 or so, according to The Guide to Online Schools. With such a disparity in college education costs, one might think that public perceptions of the value of the degrees granted by them would likewise show differences based on the type of institution. But a recently completed national opinion study tells us otherwise. A telephone research survey conducted in June 2015 by the Gallup organization queried ~1,500 Americans age 18 or over about their attitudes toward college education. For four-year colleges, the percentage figure for excellent/good quality was only slightly higher: ~70%. 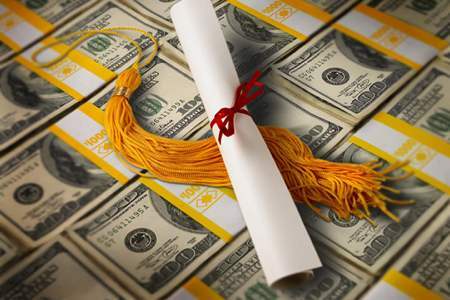 Considering the vast difference in the financial outlay required to attend a four-year school, community college education is looking mighty attractive, indeed. Tempering this finding are the Gallup survey’s respondents who possessed advanced degrees themselves. They’re more likely to rate four-year institutions higher than community colleges on quality (a nine percentage point difference). And of course, community colleges do face challenges such as their track record on lower graduation rates, plus the sometimes challenging process and procedures in successfully transitioning students from two-year to four-year schools. Still, the perception of near-parity in education quality is striking — and it’s not very different from the findings Gallup has observed since beginning to survey the American public on this topic two years ago. I don’t doubt that some families will be sharpening their pencils and doing new cost/benefit calculations based on the results of this Gallup survey. But there’s another way to look at it. Internet-based higher education is slipping through the door and becoming “mainstream” not just because of the online programs such as those offered by Capella University and the University of Phoenix, but because of the burgeoning online coursework being offered by traditionally brick-and-mortar institutions. With that growing practice, I predict it’s only a matter of time before the perception of online higher learning will match the higher ratings that are already being given to community colleges, public and private institutions. Let’s see how things look in another five years. ← Google businesses: One big star and a bunch of perpetual understudies? Personally, I feel that the online offerings at accredited colleges are nothing more than a way to cheapen the educational process at the expense of expanding university profits. It is absurd what fully online entities (such as Univ. of Phoenix) must be making. Education needs to re-examine itself — from public school systems through post-secondary. WHAT A RIP-OFF!